The Costa Rican parataxonomist programme in the Area de Conservacion Guanacaste (ACG) was initiated in 1989 from a partnership between the non-governmental, non-profit organisation INBio (www.inbio.ac.cr) and the administrative authorities of ACG (www.acguanacaste.ac.cr). The programme implements INBio’s goal of conducting an ambitious national species inventory of Costa Rica’s wildland biodiversity, to try to ensure its conservation through non-damaging uses by society. An important, albeit not principal, use of biodiversity information was bioprospecting, undertaken by a specific team within INBio. This is developed in parallel with the work of conducting the national inventory. Between them, a broad offering of educational projects is aimed at all sectors of society to help promote rapid, self-reinforcing taxonomic literacy and an improved awareness of biodiversity’s. This project was the first initiative to involve formally identified and course-trained parataxonomists into scientific biodiversity inventories. KEEP is a grass-roots organization, working to save one of the last remaining rainforests in Kenya, through environmental education and creation of awareness among local communities, and development and / or implementation of economic alternatives to the exploitation of forest resources. 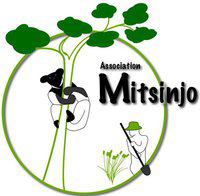 A Malagasy NGO that started as a grassroots community initiative founded in 1999, Association Mitsinjo works in conservation, nature-based tourism, and development (including agriculture and health). Located in Andasibe, one of the biodiversity hotspots of the eastern Madagascar rainforest corridor, Mitsinjo integrates the protection of prime habitat and the generation of sustainable income for the local population living in and around these areas. We host visitors and researchers from all around the world, thus encouraging our local staff to stay on top of scientific discovery and have a constant interest in the ecology of the forest they manage. Over the years, Mitsinjo has collected a wealth of knowledge on a wide range of the area’s biodiversity. It is our goal to standardise this large expanse of information and make it scientifically streamlined. This paraecologist initiative was started in Madang (Papua New Guinea, PNG) in 1994 as a small team of permanently employed paraecologists assisting studies of plant–herbivore interactions in rainforest ecosystems. The programme has expanded over the past 20 years to include ecological research on plants, insects and vertebrates. Several large research projects have been completed under this programme, including the study of plant–herbivore food webs in tropical forests, monitoring >250,000 individual plants in a 50-ha forest plot, and studies of invertebrate and vertebrate biodiversity and ecosystem change along an altitudinal gradient. The paraecologist team also assists PNG and overseas postgraduate students, works with indigenous landowners on rainforest conservation, and participates in the country’s biodiversity and environmental quality surveys for the PNG government and local industry. The paraecologist team is established as a non-profit organisation (New Guinea Binatang Research Center, BRC) registered in PNG, and working in collaboration with national and overseas academic institutions. BIOTA AFRICA has been jointly invented by African and German researchers aiming at the establishment of research supporting sustainable use and conservation of biodiversity in Africa. From October 2004 until March 2010, the regional network BIOTA Southern Africa employed and trained eight paraecologists. They worked at different sites within the BIOTA Southern Africa research area in Namibia and South Africa. The Okavango basin in southern Africa with its variety of savannah woodlands and wetland ecosystems linked by the central lifeline of the Okavango River is a global hot-spot of accelerating change and land use conflicts. The river has its source in the rainy highlands of Angola and terminates in the Okavango Delta, the world's largest inland delta and the largest freshwater swamp south of the equator. The Future Okavango project analyses ecosystem functions and services within this trans-boundary basin of high international visibility and high potential transferability of results to other tropical and sub-tropical regions. The Future Okavango project employs and trains three paraecologists, based in Angola, Botswana and Namibia, respectively.